We believe in handling our yaks with care and respect, which keeps them gentle, easy to move between pastures, and, quite simply, a joy to be with. We give them a small amount of grain every day to keep ‘in touch’ with them and to provide extra minerals and nutrients that they don’t get from their grass diet. 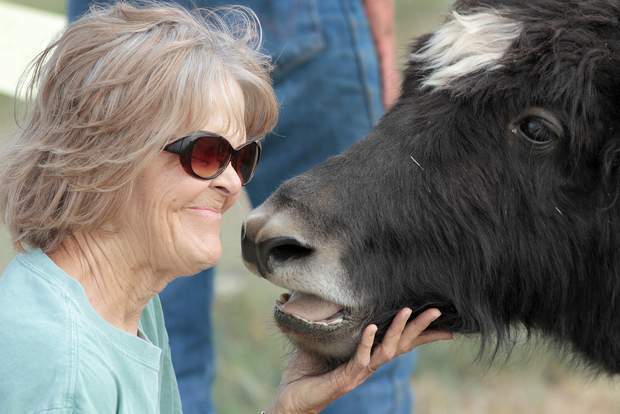 Most of our animals are tame enough that ‘agritourism’ visitors can go right out into the pasture and meet them ‘hands on.’ We have also had the unique and satisfying experience of introducing them to special needs adults. 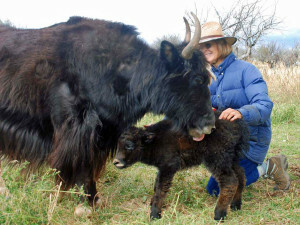 Imprinting with newborn yaks is desirable, but not always possible, so we start taming them as soon as we can. 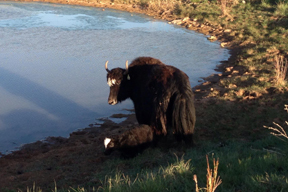 Our bottle-fed yaks are especially tame and we use bottle fed steers for packing and just enjoying having around. Our herd sire is a seven-year-old imperial bull named James Bond. His registration number is, appropriately, Q007. 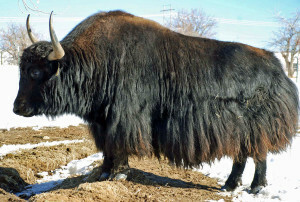 His father was Billy the Kid, son of Bill the Bull (one of the largest bulls ever registered), and his mother was the famous Queen Allante, known for starting a line of yaks that are excellent fiber producers. He is a proven sire producing large and healthy offspring. 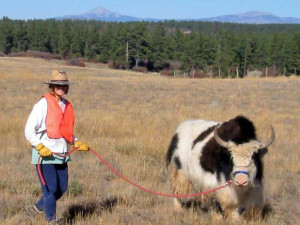 We currently have two steers that are in training to become pack yaks. 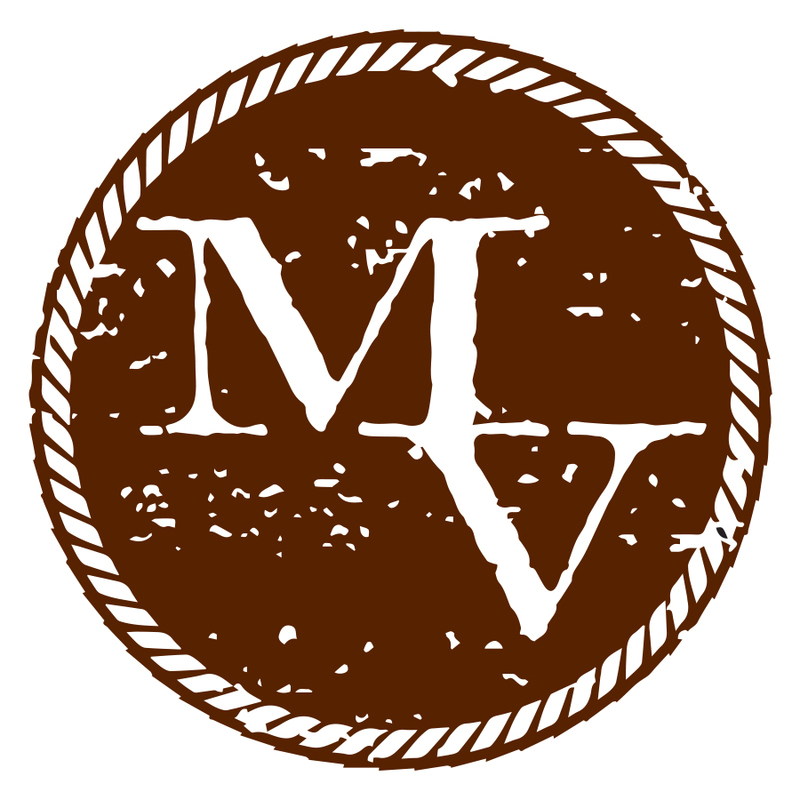 Their gentle personalities and sure-footedness should make them useful for multiple-use pack animals in the mountains.